We take pride in providing comfort and convenience in an atmosphere that one customer calls just like staying at Grandma's house! Our housekeepers take pride in maintaining faultlessly clean rooms. The Ideal Motel has 10 rooms, all with microwaves and fridges. Room 1 is set up as an efficiency apartment. All rooms have telephones, color cable TV, Disney and Showtime. The rooms have been renovated with new carpeting, drapes, beds, and a charming cozy decor. We provide the comforts of home at an affordable price. The RV Park has 9 full hook-up sites and all with a cable TV hook-up and WI-FI. The showers have been renovated. Please stop by. 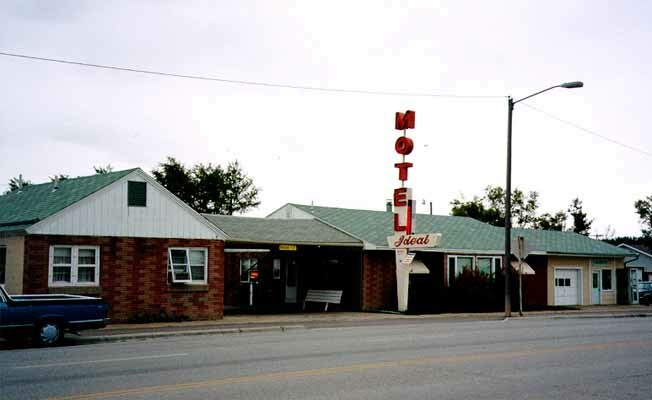 The Ideal Motel and RV Park is in Roundup on Highway 87, 2 blocks north of Highway 12 East. We are on Main Street close to shopping and dining. Roundup is located 50 miles north of Billings, Montana. Headed north? Stick it out for that extra hour and enjoy a painless price and spotless room. Headed south? Take a break and avoid the high prices and big-city congestion by spending the night with us.The Ideal Motel and RV Park is in Roundup on Highway 87, 2 blocks north of Highway 12 East. We are on Main Street close to shopping and dining. Roundup is located 50 miles north of Billings, Montana. Headed north? Stick it out for that extra hour and enjoy a painless price and spotless room. Headed south? Take a break and avoid the high prices and big-city congestion by spending the night with us.